To address the high prevalence of anemia and malnutrition amongst the tribal population in the Indian State of Telangana, an affordable ‘Nutri-Food Basket’ of Smart Food (see sidebar) developed by ICRISAT, especially for children and women, will be tested on field shortly. This project was commissioned by the Telangana Government. The overarching objective of this project is to sensitize and provide the tribal population with affordable and available nutritious food products to supplement their existing diet. Improved dietary diversity and overall nutritional intake is expected to benefit underweight children and improve the hemoglobin levels of the presently anemic population. The project is in its first phase and covers three mandals (blocks) in three districts (see map). Product acceptability studies for the Nutri-Food Basket were conducted and baseline studies are underway to understand and document the existing nutritional and health status of the representative target population. Out of the 5,300 selected respondents, 4,800 will receive food-based intervention, while the rest will comprise the control group. Recently, 24 enumerators (50% were women) from the target areas were trained in data collection using tablets. They were taught techniques for building rapport with the respondents, taking informed consent, collecting data on socio-economic status and dietary diversity and asking questions for data validation. The enumerators were also trained in taking anthropometric measurements using standard measurement instruments and using the Pulse CO-Oximeter for recording hemoglobin and oxygen levels (non-invasive method), pulse rate and perfusion index. A two-day hands-on experience was also part of the training program where all the 24 enumerators were taken to a nearby village to pilot the use of tablets and collect data using Census and Survey Processing System (CSPro) software. 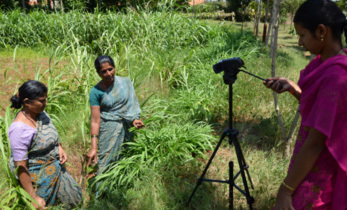 Two field coordinators from ICRISAT were appointed to continuously monitor and validate the data collected by the trained enumerators. 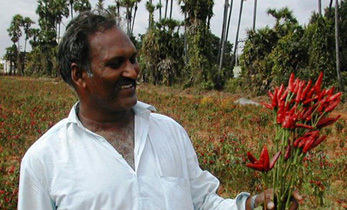 The data is synchronized on village basis and regularly sent to ICRISAT headquarters. The training program from 15-24 May at Utnoor was conducted by a six-member team from ICRISAT, comprising of staff from the Agribusiness Innovation Platform (AIP) and Markets, Institutions, Nutrition and Diversity (MIND) of the Innovation Systems for the Drylands Program, ICRISAT. 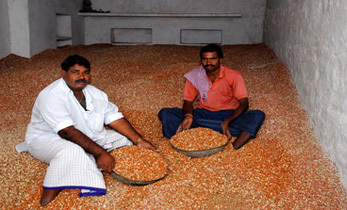 Energy and Nutri Dense Food (EDNF) – A spread made from groundnuts, chickpeas and sorghum. 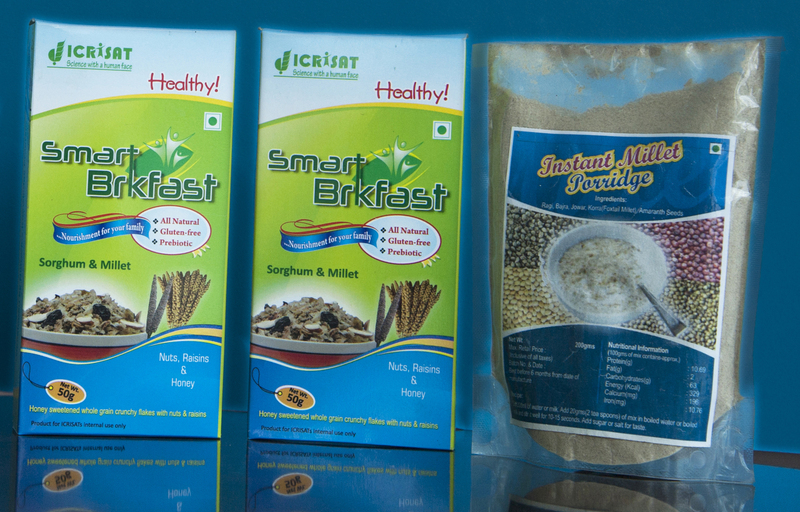 These products were developed and validated by the ICRISAT Nutriplus Knowledge (NPK) Program of AIP. 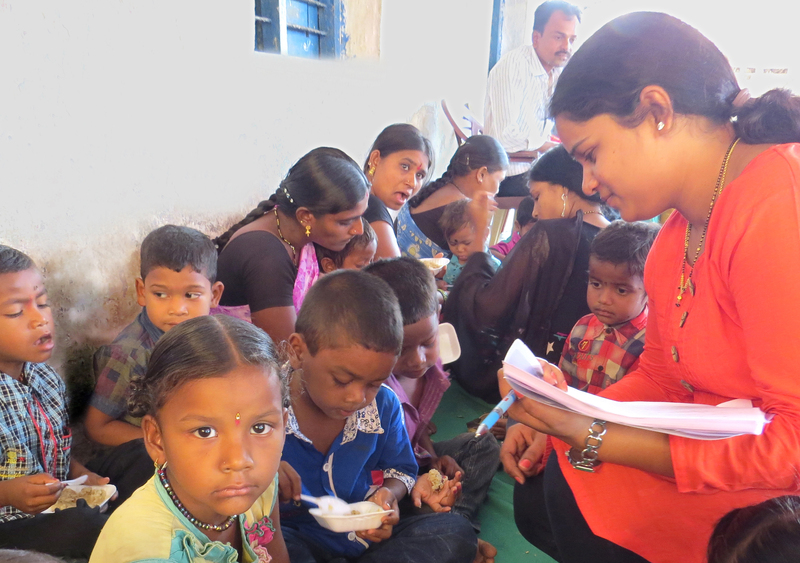 They were tested for acceptability among select members of the target population at Anganwadis (mother and childcare centers). Based on inputs received from respondents of the acceptability studies, the products were further refined. Data from the latest National Family Health Survey (NFHS) – 4 shows that the tribal populations in the target districts are highly anemic and survive on a basic staple diet which lacks diversity, and hence is not nutritionally balanced. The Nutri-Food Basket aims to provide additional energy, protein, fat and micronutrients to the target population through consumption of food products formulated using locally-available ingredients. The products will be hygienically produced and packed and will be provided in ready-to-eat and ready-to-cook forms to be consumed by children (6 months to 5 years), adolescent girls, and pregnant and lactating mothers. 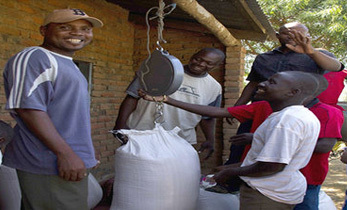 The food basket is designed to diversify and supplement the existing diets of the target population. The products will be produced by incubatees of ICRISAT AIP at facilities licensed by the Food Safety and Standards Authority of India (FSSAI), and supplied to the target population in pilot study areas for a period of nine months. Are evaluation measures in place? 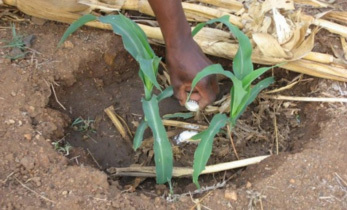 An endline survey, with reference to the baseline survey, will be undertaken at the conclusion of this intervention to assess the impact of the Nutri-Food Basket. This ongoing study is expected to lead to an evidence-based scale-up of the proposed model of Nutri-Food Basket in the entire state of Telangana, and in other regions of South Asia and Sub-Saharan Africa. Photo used for illustrative purpose. 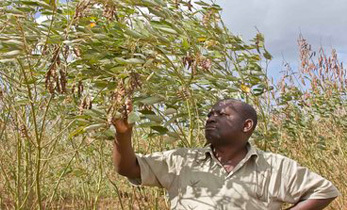 File photo of products developed by ICRISAT.